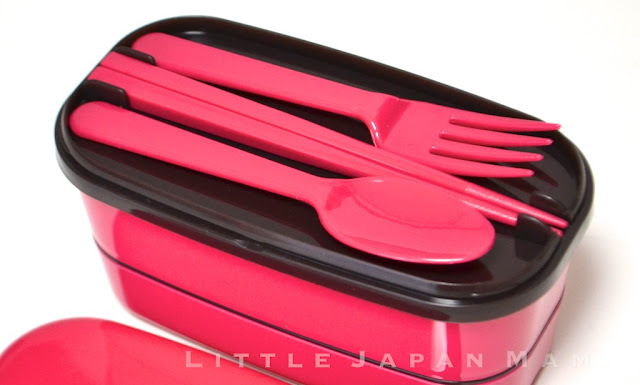 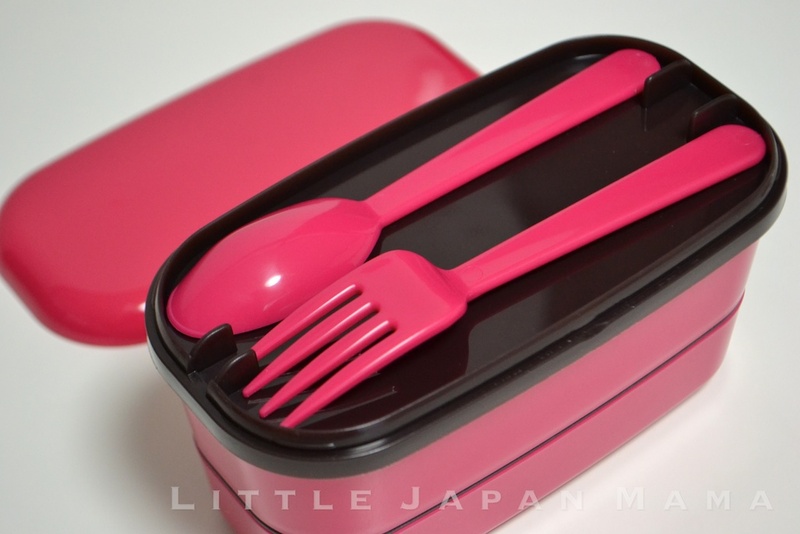 Either set fits perfectly inside the lid of the Two-Tier Bento Box (sold separately), and of course the colours also match. 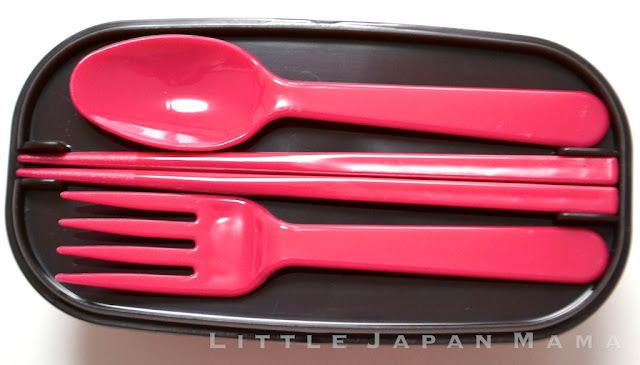 Chopsticks are 15cm long. 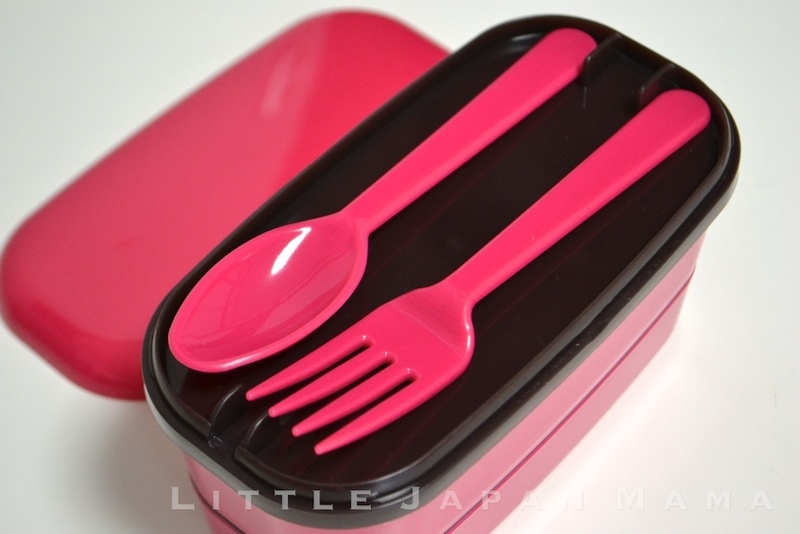 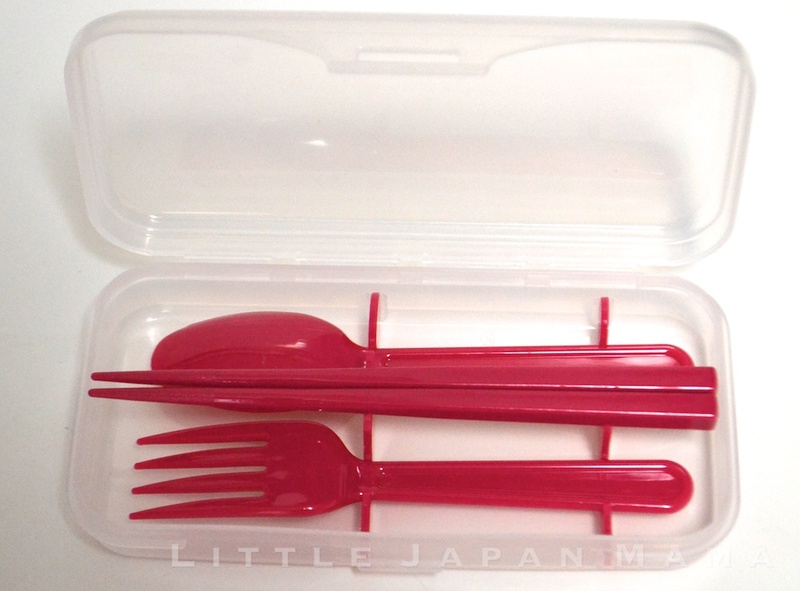 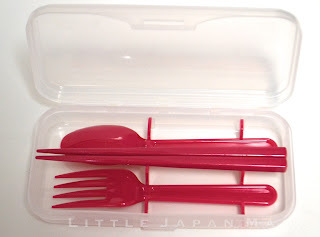 Both sets are made of durable plastic and the spoon and fork are designed with large heads so they are practical for adults to use.